National retailer, Marks & Spencer has announced plans to close a further 17 more stores with the loss of 1,000 jobs - including its Rotherham store at Parkgate. Last year, M&S confirmed that it would close over 100 stores in total by 2022 in order to "radically reshape M&S's Clothing & Home space" alongside relocations, conversions, downsizes and the introduction of concessions. The historic retailer made the decision to relocate its store on College Street in Rotherham town centre to Parkgate Shopping in the early 2000's. Consultation is now underway staff at the Parkgate store over the proposed closure. Other stores earmarked for closure include Huddersfield, Hull, Boston, Bedford, Buxton and and Weston-super-Mare. Paula Varley, M&S Head of Region for South Yorkshire and East Midlands, said: "Proposing to close our Rotherham store has not been an easy decision to make. "Over the coming weeks we'll be talking to each colleague individually as we go through the consultation process. 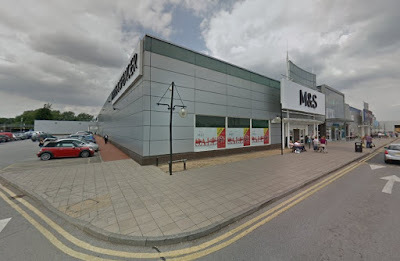 "We remain dedicated to our customers and, if the proposal goes ahead, we will continue to serve them from our other stores in the region including M&S Meadowhall." M&S opened a Rotherham Simply Food store at Cortonwood in 2017. Sacha Berendji, retail, operations and property director at Marks & Spencer, explained last year: "We are making good progress with our plans to reshape our store estate to be more relevant to our customers and support our online growth plans. Closing stores isn't easy but it is vital for the future of M&S. "Where we have closed stores, we are seeing an encouraging number of customers moving to nearby stores and enjoying shopping with us in a better environment, which is why we're continuing to transform our estate with pace." The acceleration of the UK store estate programme is part of a wider five-year transformation plan to "make M&S special again." Identifying that its store estate was not fit for the future, M&S has the ambition to create fewer, better Clothing & Home stores. Bosses identified a reduction of at least 25% of its 2016 store space with a higher quality store estate to complement online growth. Stores will be "larger, digitally enabled, better located and more inspirational for customers to shop. They will also be supported by a seamless online experience across all digital channels including mobile and social, and by a conveniently located network of Food stores that offer customers a next-day collect in store service for Clothing & Home purchases." It used to be shops opened where there were customers, now the onus is on the customer to ‘move’ to where the shop chooses to site its shop. The gall of them to make us ‘welcome’ at “Meadowhall”. So much for reducing unnecessary car use and congestion. Marks & Spencer is now a costly anachronism anyway so no great loss to the people of Rotherham... I, purposefully, haven’t shopped there since it deemed Rotherham Town Centre no longer worthy of its presence! How incredibly condescending of M&S to inform us that we can still give them our money by travelling to Sheffield. So Rotherham isn't good enough for a store, and the people of Rotherham are viewed as second class, but by golly Rotherham's money is still welcome, thank you very much! Get stuffed is what I say! Yet again Rotherham plays 2nd fiddle to Sheffield, the magistrates court moved there as well as the bus depot, not to mention countless other stores that have moved away! Rotherham will bounce back. It's the same when they advertise boundary mills on tv they say sheffield. How long has catcliffe been in sheffield. They say Doncaster/ sheffield airport . Why not Doncaster/ rotherham airport . M+s can go it's crap anyway. Feel sorry for those who work there . Very sad to hear to hear this, especially the people who may be losing their jobs. M&S was the star name retailer for the Parkgate shopping centre. Hope it can attract another high profile name to keep regeneration of central Rotherham on track. Parkgate is a great shopping space with parking, and more convenient than Meadowhall for Rotherham people. Lets keep it going. If the Parkgate store closes there will be no option but to go to Meadowhall. For the elderly, this is a long bus journey and a lot of hassle . Cortonwood has food but not clothing . Very disappointed . I totally agree with you Jayne. Shameful move on the part of M & S. They never think things through. How come they're keeping Cortonwood and Barnsley? Two stores for them and none for us? Doesn't add up. You're upsetting a lot of people M & S!! Totally wrong decision!! I am saddened to hear that the store at Parkgate Retail World will close. It is a regular meeting place for my mum and myself to have a coffee and to shop in the foodhall as well as clothing and gifts. I regularly buy my underwear from M&S .I will now have to make a journey to Meadowhall which is not as easy due to working hours. Years ago the Rotherham branch closed now the Retail World store.why did this have to happen?